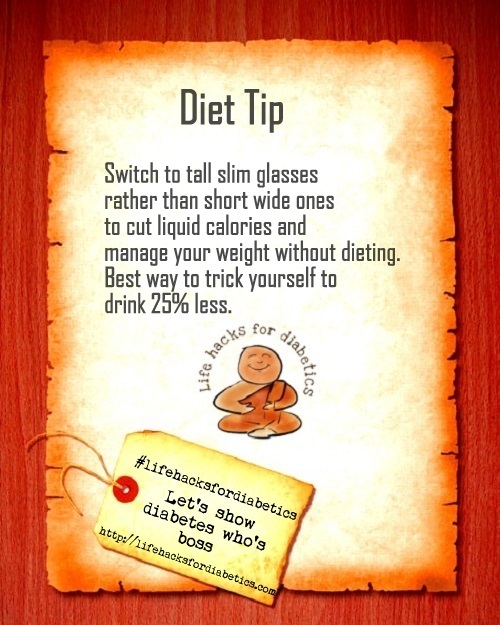 Switch to tall slim glasses rather than short wide ones to cut liquid calories and manage your weight without dieting. It is the best way to trick yourself to drink 25% less. Great visual cue eh? More about the diabetes diet here. Day 4 of the A to Z Challenge 2015. D is for Diet tip.